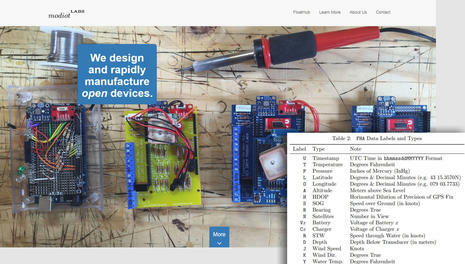 First, here’s a visual taste of what the yellow hardware box and lots of associated beta software are doing for me right now, as seen on the FloatHub dashboard browser page I can open on my computers, tablet or phone (click the screen bigger for detail). 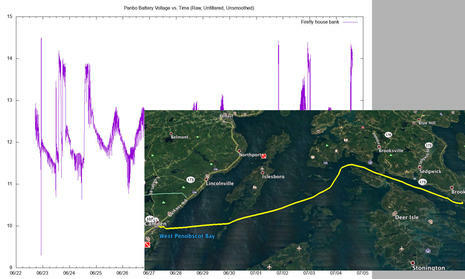 The “00:43” highlighted at lower right means that FloatHub uploaded fresh data from the boat to the Internet cloud just 43 seconds before the screenshot, and that’s not unusual. There are issues with using WiFi for off-boat monitoring — like its ability to help when you’re anchored in remote islands — but it can often update automatically, frequently and richly without the extra costs cellular and satellite incur. Once powered up and online, and without any further wiring, FloatHub provides the GPS info you see above, as well as the air temperature (which needs calibration, at least for my sample hardware) and barometric pressure (quite accurate). A simple jumper gets you the 12v feed voltage, and then it’s just a matter of running small gauge 1-amp fused wires to get five more voltage readings — be they battery banks, charge sources, or whatever — plus three voltage on/off states that are time monitored so you can track when, and for how long, pumps and similar are activated. Also, if I’d been able to get the FloatHub’s standard speed NMEA 0183 input working right — the culprit has not been identified yet, but likely local to Gizmo — my dashboard could be showing current wind, depth, and water temperature conditions at the boat. Moreover, all this data gets logged in the secure FloatHub cloud and can be seen graphically just by clicking on the little button lower left, and the dashboard already has a lot of clever interactive interface features which you can best check out at this FloatHub demo page. By the way, I’ve already suggested to the FloatHub team that what they’re calling Bearing is actually COG (Course over Ground from GPS) and is best expressed as null when the boat is moored or anchored, and also that it’s preferable to portray the boat icon without bow orientation in such circumstances (unless Heading is being sent). But this is an impressively minor detail for a system that won’t deliver to KickStarter backers until October at earliest. To best understand how to set up FloatHub and what it can do, it’s good to know the differences between WiFi client and access point (AP) modes, both of which can be done simultaneously by the yellow FH box. 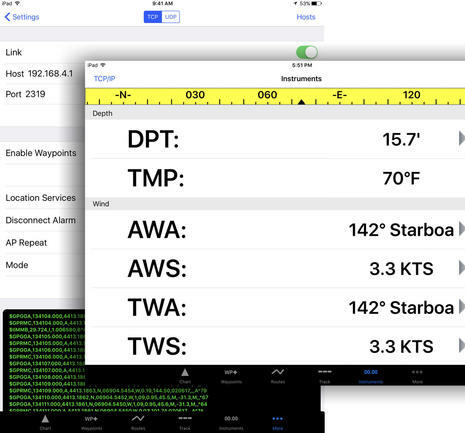 But understanding WiFi client/AP distinctions has become important on many boats anyway, so let’s dig into the two (somewhat extreme) Gizmo iPad screens above. At left is the list of WiFi access points that my iPad sees from Gizmo’s main cabin while moored in (admittedly tight and WiFi-dense) Camden Inner Harbor. Some of those AP’s are ashore, some on other boats, and the ones marked with blue dots are right on Gizmo herself, though no location guarantees that any access point actually accesses the Internet (even if many landlubbers presume that all WiFi APs do). 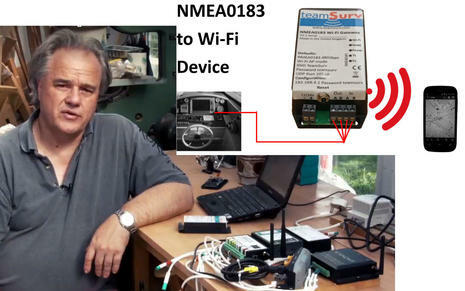 For instance, the “Garmin-7612…” and “GoFree WiFi…” APs listed only access the associated navigation systems (which can be very useful), while the “Gizmo_RAYeS127…” has a sophisticated dual WiFi nature. But the highly-used “MV gizmo cmw” often is an Internet AP because it’s connected to the high-power Coastal Marine WiFi “bridge” mounted on Gizmo’s mast. 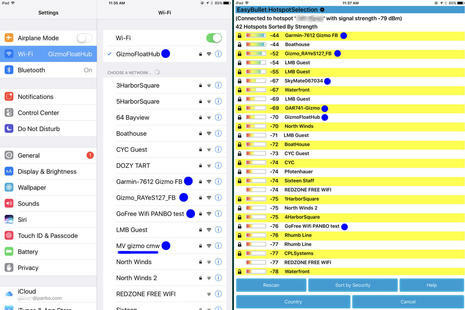 To see all the APs that CMW’s reprogrammed Ubquiti Bullet can see — the list of 42 hotspots ordered by signal strength at right above — I use CMW’s EasyBullet app on the iPad or another device logged onto the CMW router. And once I select an able hotspot, like the beauty I’m using here in Camden, every device connected to the router is online. 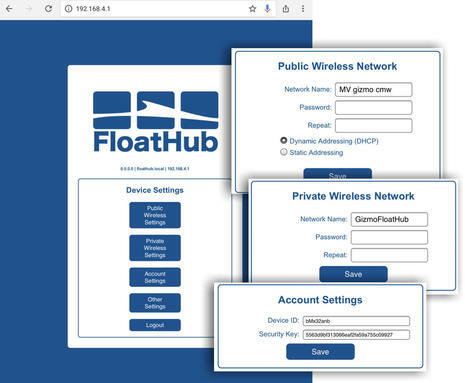 Now I’ve been yammering about these sort of boat WiFi systems for years (and tried to diagram the concept here along with cell booster strategies), and I’m happy to report that they are often now so solid that they can support always-on monitoring systems like FloatHub. In fact, what you don’t see on these lists are several WiFi devices on Gizmo that are only in client mode and doing good work while logged into the “MV gizmo cmv” router. For instance, an interface with the long-tested Vesper XB8000 AIS transceiver is invariably available to iPad and PC over Wifi (no matter if there’s also an Internet connection) and, in fact, that interface has gotten so valuable with the recent Smart AIS updates that I modified my helm setups (story coming). Meanwhile, the GoFree Track monitoring system also being tested has tenaciously stayed online via the CMW WiFi for many months, even collecting trip track data and auto uploading it whenever the router is back online again, a neat trick that FloatHub will also purportedly perform (as the dashboard develops). The primary reason that FloatHub also offers its own hotspot is so that you can tell it how to get online and do other setup chores. In Gizmo’s case FloatHub’s “Public” network is set as the boat’s router and may never need change, but on a simpler boat you might go here to change hotspots as you change harbors. I also personalized the “Private” local network name from the default “FloatHub” (maybe because multiple Gizmo hotspots are a perverse form of harbor bling). I prefer “Onboard” and “Off boat” to FloatHub’s “Public” and “Private” wireless network terminology, especially since all aspects of FloatHub seem to be carefully protected. Note, for instance, the hard-to-break account settings you have to enter once you’ve established an online service plan (which happily start at $0 per month). And, besides, standard terms for these different ways to use WiFi on a boat, or even in your Internet of Things (IoT) home, have not yet taken hold. Here’s another reason to have a “GizmoFloatHub” access point. Even when a FloatHub is not online (but still logging data for when it is), it can gateway data from its own sensors and its NMEA 0183 inputs over WiFi to various nav apps on a tablet or phone (as we recently discussed). And while I’ve been having trouble using Vesper XB8000 0183 output to test this feature, it has worked occasionally. 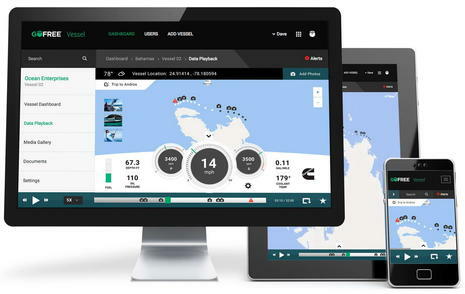 For instance, the screens above show how iNavX instrument settings were set to the specific IP address and port where data is served from the GizmoFloatHub AP, and the data stream was confirmed first by the obtuse green NMEA sentences streaming low on the setup screen and then by actual Depth, Wind, etc. values showing up in instrument windows…at least for a while. In fact, that data was first generated by Gizmo’s NMEA 2000 sensors and then gatewayed to 0183 by the Vesper XB, which should work but may be my problem. Plan B is to try the amazing Rose Point NEMO everything gateway which I’ve just started testing, but I already suspect that FloatHub handles more normal 0183 inputs fine and, besides, its innovation is really in the off boat monitoring area. Setting up a FloatHub dashboard is pleasantly easy and the possibilities are many, especially when you realize that the Battery, Charger, and Pump categories are really just suggestions. For instance, I’m using the pump timing feature to keep an eye on Gizmo’s Lumishore underwater lights, because it’s a little too easy to leave them on at night, and also because I’m experimenting with remote control (talk about harbor bling). But I’ll also note that some of that monitoring above is still aspirational. For example, I still haven’t run a wire from the FloatHub to where the boat’s solar panels cable into the Blue Sky controller, and first I need to check that the raw voltage output fits within FH parameters. And maybe you wonder how am I monitoring the status of the Victron inverter — which can also be proxy for shore power — using DC 12v voltage? That’s a neat trick I’ll explain when I review the now installed SkyMate Mazu Sentry monitoring system. 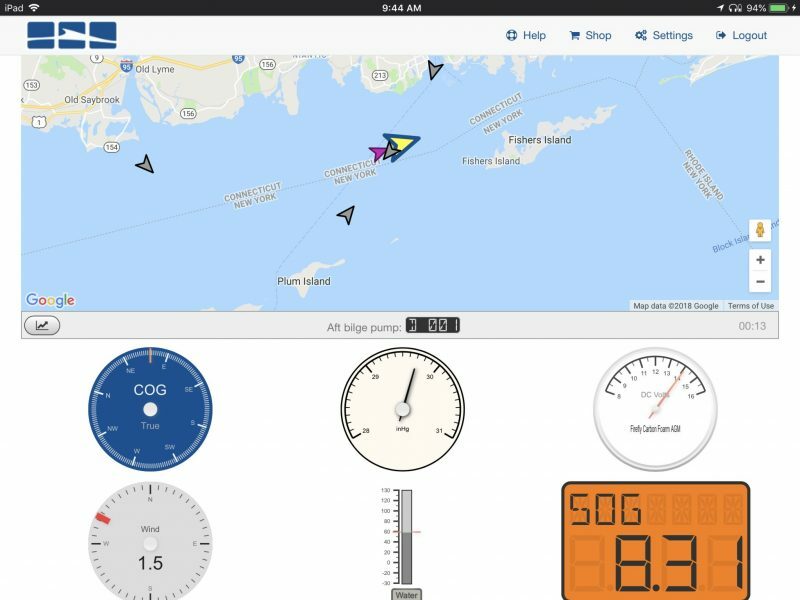 The FloatHub dashboard is useful and will get more so, but the heart of effective boat monitoring is a well-designed alert feature, and FH’s rules-based system works well in my experience. For instance, I don’t get false low battery alerts due to spikes caused by Gizmo’s refrigeration because I could easily tell FloatHub not to bother unless the condition persisted for 10 minutes (and maybe, too, because FloatHub’s voltage logging seems well smoothed). Using time as a factor with time-based “pump” alerts seems trickier. So I think that my alert for underwater lights being on more than an hour over a two-hour period will fire off after two hours, but only lights-on time will tell, and it will be easy to change as needed. Here’s my current FloatHub dashboard graph view. Among other virtues, it’s the best view I have of what’s happening over time with Gizmo’s FireFly battery bank, which I’ve been stressing with lots of install hours and 24/7 loads — including several other good monitoring systems — versus little engine charging (the high voltage spikes), let alone underway time (the SOG spikes). I look forward to when I can view this data by day or week (like the FloatHub demo) and especially to when FloatHub starts auto logging the trips I’m about to make more of. Thor Sigvaldason of FloatHub, and the project’s mother company Modiot Labs, sent me the screens above to illustrate the data detail already being collected from Gizmo’s beta yellow box, and from what I’ve seen so far it’s not hard to imagine how nicely it will be displayed on future editions of the FH dashboard. 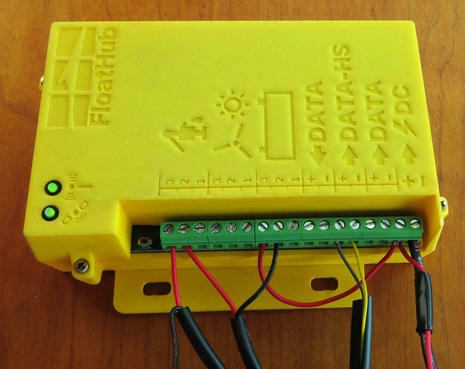 Other future possibilities are FloatHub support for Signal K boat data — did you see the Code Afloat contest announcement? — and note that FH is already “eminently user hackable and extensible” with open source code and a simple data protocol already as clearly explained as the less geeky of us will find the FloatHub guides and manuals. 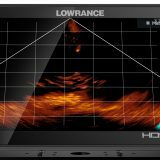 I realize that I’ve gotten a little nuts about boat monitoring, but I think I’m onto something that can provide more pleasure and less worry to the boat owning experience. 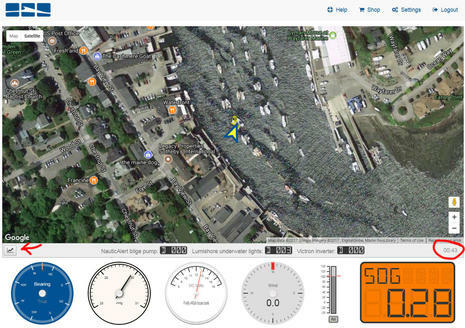 I’m also learning that WiFi can be a viable boat monitoring medium and if your boat lives somewhere like my harbor, please consider backing the FloatHub Kickstarter campaign. Can Switch to negative or positive voltage – so infinitely configurable for any type of telemetry/monitoring device input. A suitable relay a few $s only at hobbyist shop or online. 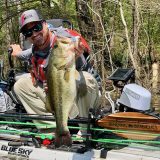 It’s easy to get nuts about boat monitoring and it seems like it’s taken a long time for the industry to get competitive and offer interesting alternatives. I think the first question to ask is what are your needs, and how do you operate your boat. If you just want to see what it’s doing on the dock, on shore power, on a reliable wifi network then you can really go nuts. If you want to watch your boat while in new and perhaps faraway places I would argue you have to keep it simple. Relying on wifi, and having to keep it and any components of your NEMA network powered up are simply non-starters in remote places. I personally have begun to hate the hassle of connecting to a new wifi service in every new harbor; I’m done with it. While I love to geek-out on my boat in this case I went with a text message driven system instead (Boat Command – Ben mentioned in 5/23 article) and couldn’t be happier with it. I bought it impulsively as a boat show special three years ago not quite sure what I was getting. It’s become one of those rare products that delights me in its power and simplicity every time I interact with it. Every three hours it sends a text message to its server with a status about my boat (battery status of two banks, bilge pumps runs, temperature, location, shore power status, intruder detect, more) and I can access that data easily by app or pc. If an alarm setting is triggered (e.g. : too many pump runs, or intruder) then I get a text immediately. I can also force an immediate update any time I want. My solar trickle charger easily keeps up with the tiny power consumption. 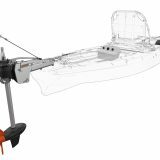 I’ve used this in New England waters and it’s worked flawlessly and without a single adjustment everywhere I cruise. I sailed my boat to Bermuda for the America’s Cup in June and left her there for the summer and continue to get all the status updates. What peace of mind! I head to the Caribbean in the fall and will leave the boat there at times and know I’ll stay informed, hassle free. All for $9 a month. It’s the perfect answer for my needs. But I’ll be really interested to hear if BC works well for you around the Caribbean as I’m skeptical about “global GSM” cell claims (largely because at least one doesn’t work here in Camden, Maine, though there is GSM coverage and BC works fine here). Ben, in regards to Wi-Fi and Cell. Here is a solution. I have a Pepwave MAX BR1 with Wi-Fi (LAN) and it has two slots for sim cards. I have an AT&T GSM sim card in one of the slots. You can “set” which you want as primary and secondary source for the Wi-Fi. I have a Coastal Marine Wi-Fi with a Ubiquiti 24 V PoE injector wired into the Pepwave as my (Wan) source. Also have a Wilson Amp connected to an outside antenna then connected to the PepWave. So, loss of Wi-Fi, PepWave would auto switch to AT&T Cell signal. WORKS GREAT. 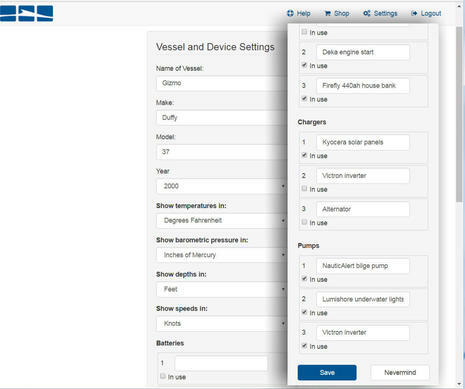 The Apps of Pepwave and Coastal Marine on an i-Pad, makes life really easy. OK, looks good…but will this be yet another recurring monthly fee for cloud storage? Such fees were nickel-and-diming me to death, and I’ve eliminated all but essentials. 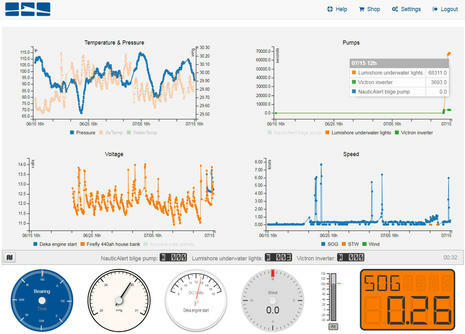 And while it’s great that Victron includes the cloud monitoring at no extra charge, you do have to purchase a number of Victron components to get the most out of it. But so far AT&T seems unwilling to activate a SIM card because they don’t like my billing address (it’s a roaming area for them) though I’d mostly use it south of here. Sigh. Ben, as we all know, it seems that the wireless companies have rules that they use and some that they do not. AND, mostly it has to do with the person at the AT&T store. My AT&T account has a Sewell, NJ billing address. I have (2) i-pads (2) i-phones (1) “hot spot” and now the AT&T sim card in the Pepwave. 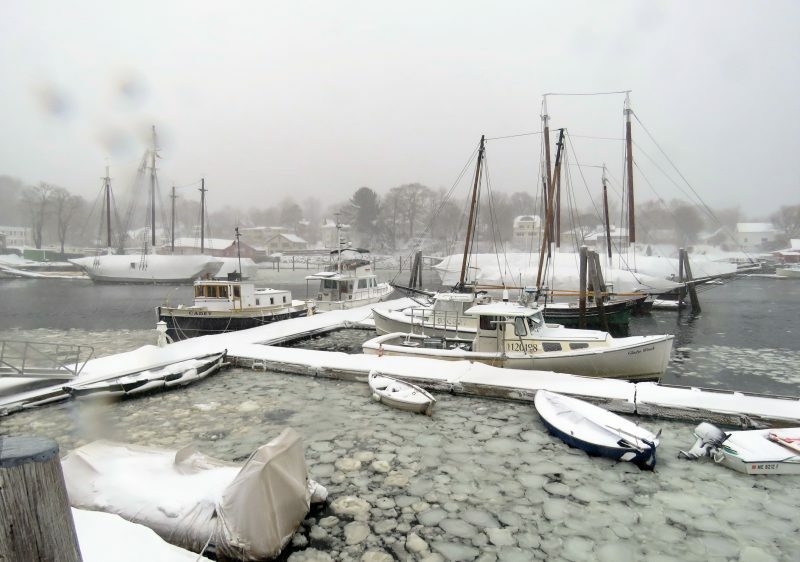 And, I had the Sim card activated in Brunswick, ME (Cooks Corner) just south of Bath, ME. They just added the sim card to my account, for “I think” $15.00 per month. All these devises share the “MEG plan” that I have. So, just an FYI as to how I got my sim card activated. Lying at beautiful Great Island Boat Yard in Harpswell. ME. Got my Floathub a day or two ago and had a frustrating time setting it up today but all is well as I received spectacularly prompt customer service on a Saturday evening. The problem turned out to be that the font used on floathub.com made it hard to distinguish between and upper case i and a lower case l in my device ID. I have no doubt that will be fixed very soon. Kudos to FH for a quick resolution of the issue. Looking forward to installing it on the boat. as marine electronics have gained a lot of popularity, these devices have become prone to theft and being stolen. in this situation what a boat will generally want is a security that will keep track of its devices. furthermore, I have recently noticed that my boat was performing abnormally. the outward sterndrive was seemed not to receive the entire internal power. it is not easy to pick a reliable and good product. however, your post will make people more aware of the devices and will make them more informed. keep up the good work.